These fall-off-the-bone sweet sticky ribs are really easy to make and will become a family favorite. 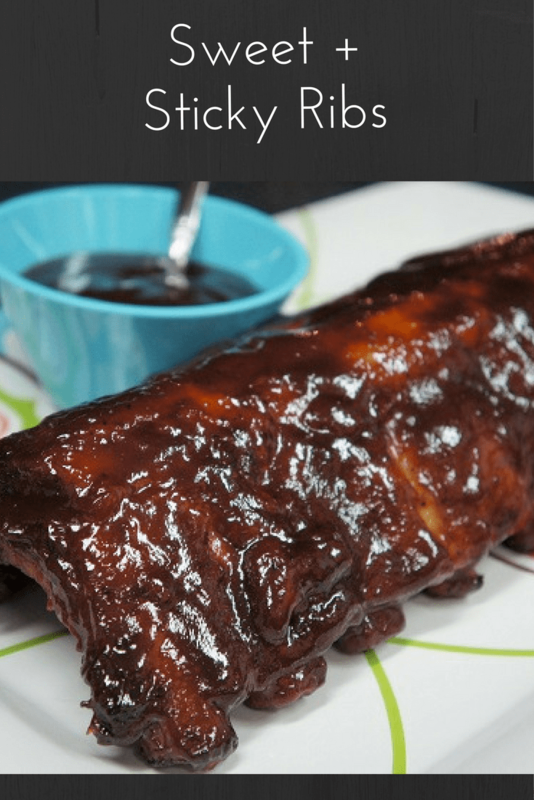 They’re cooked in the oven and slathered with a sweet, thick, delicious barbeque sauce. The ribs take a while to cook- that’s how you get them fall-off-the-bone good, but don’t let that discourage you, the prep, and hands on time is practically nothing. The sweet, sticky sauce is also a cinch to make. Add the blackening seasoning, 1 tbsp. brown sugar and the soy sauce to a small bowl. 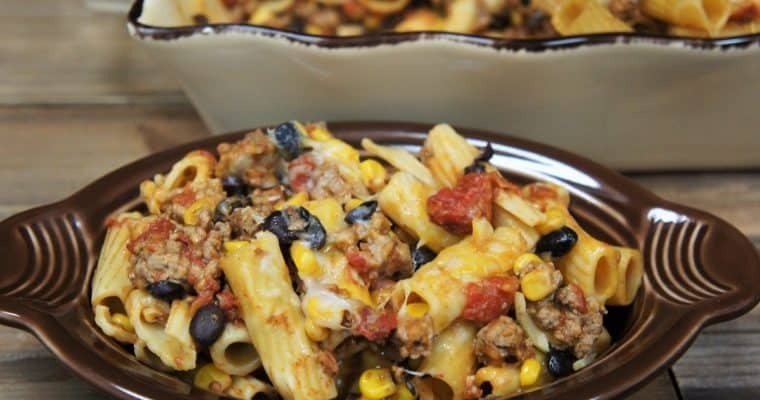 Mix well using a fork, set aside. Line a large baking sheet with aluminum foil, one piece lengthwise and one piece widthwise. Place the ribs in the center and rub the seasoning mixture on both sides of the ribs. Add the barbeque sauce, the remaining brown sugar, honey, ketchup, mustard, and Worcestershire sauce to a medium saucepan. Heat the sauce over medium heat. Stir the sauce almost constantly to avoid sticking. Simmer the sauce for a few minutes, until the sugar melts and the ingredients are incorporated. Lower the heat to low and keep the sauce warm until the ribs are done, stirring occasionally. Remove the ribs from the oven, carefully open the foil and fold it down so that the ribs remain uncovered. Carefully turn the ribs (as they should be very tender) so that the underside is up. 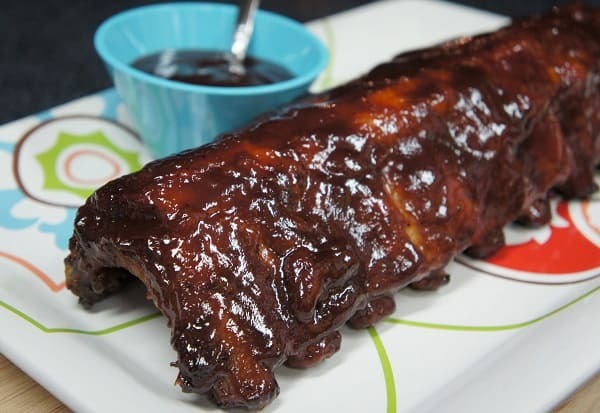 Brush or spoon about a 1/3 of the barbeque sauce on the ribs, place the baking sheet back in the oven and bake them for 15 minutes. Remove the ribs from the oven, carefully turn them and brush the top of the ribs with the barbeque sauce. Bake another 10 minutes. Brush them one more time and bake another 10 minutes. Serve these sweet sticky ribs with lots of napkins. Enjoy! If you want to place the sweet sticky ribs on a serving platter, remove them carefully as they will be fall-off-the-bone tender. We use two sets of tongs to turn the ribs and to remove them from the baking sheet. Grab each end of the ribs with the tongs placing them towards the middle of the rack to provide support.